Contrad® 100 is a low-foaming alkaline liquid detergent formulated for Clean-In-Place systems. 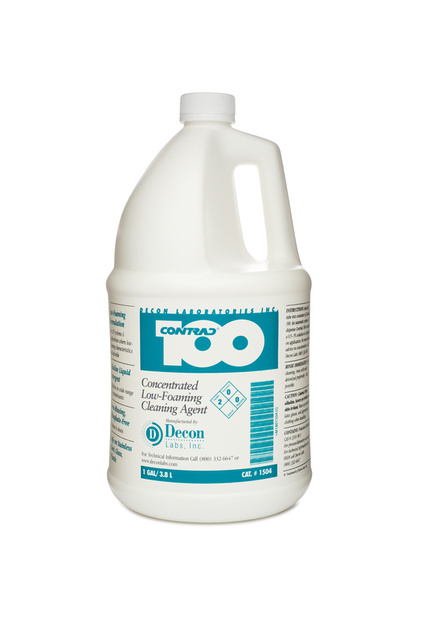 Contrad® 100 is effective in removing a wide variety of contaminantes from stainless steel, glass, and plastic surfaces. Its low-foaming characteristics prevent pump cavitation. Contrad® 100 is extremely free rinsing, phosphate-free, and disposable straight to drain.